Abdulelah Sayed Ahmed is a 31-year-old former bus driver arbitrarily arrested by the Bahraini authorities. He was arrested without a warrant, tortured, and convicted in an unfair trial. He is currently held in Jau Prison, where authorities have denied him access to healthcare. On 3 November 2015 at dawn, numerous police vehicles arrived at Abdulelah’s apartment in Barbar. Officers arrested him, marched him outside in just his shorts, and confiscated his belongings. He was taken from his family without an arrest warrant or explanation. For the subsequent 22 days, officers disappeared and tortured Abdulelah. He was repeatedly transferred between unknown locations and blindfolded continuously. Authorities allowed Abdulelah to communicate with his family twice, and he stated that he believed he was being held at the Ministry of Interior (MoI) Criminal Investigation Directorate (CID), though it was later revealed that he had been held in Jau Prison. During the 22 days, officers beat Abdulelah on the face and held him in solitary confinement. Abdulelah was prevented from seeing or communicating with his lawyer and loved ones, and officers eventually forced him to confess to crimes he maintains did not commit. The abuse violated Bahrain’s constitution and the international treaties to which Bahrain has acceded, including the Convention against Torture and Other Cruel, Inhuman or Degrading Treatment or Punishment (CAT) and the International Covenant on Civil and Political Rights (ICCPR). Further, Abdulelah has been denied medical treatment for a diagnosed, pre-existing condition involving benign growths developing on his hand and under his arm. This condition has become a painful and preventable malady. Authorities continue to deny Abdulelah treatment despite multiple requests for medical appointments. On 15 May 2018, Abdulelah was denaturalized and sentenced to five years in prison on charges of joining a terrorist group, referred to by the Bahraini government as the Zulfiqar Brigades, in a mass trial of 138 defendants. 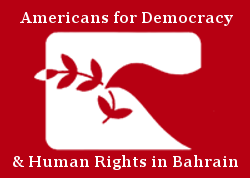 Bahrain has offered no definitive evidence that the group exists, though security authorities have repeatedly tortured and jailed individuals based on their alleged connection to the organization. In addition to Abdulelah’s torture and unfair trial, the authorities have not returned the belongings confiscated from his house, despite numerous complaints to the MoI Ombudsman. Abdulelah has appealed the court ruling, and the proceedings are postponed until 7 October 2018. He is currently being held in Jau Prison, where he continues to be denied medical treatment. ADHRB urges Bahrain to meet its obligations under international law, specifically the CAT and the ICCPR, by annulling Abdulelah’s conviction and ensuring that any subsequent trial is consistent with due process and fair trial rights. Reports of torture, arbitrary detention, unlawful confiscation of personal property, and denial of vital medical treatment must be independently investigated and all perpetrators must be held accountable. Note from the Editor: This post was edited on 28 September to correct errors. The post originally stated Mr. Ahmed’s age as 41, while he is 31. The post originally stated the location of his disappearance as Dry Dock Detention Center, while the location was Jau Prison. Finally, the date of arrest was originally reported as 11 March 2015, while the arrest occurred on 3 November 2015.